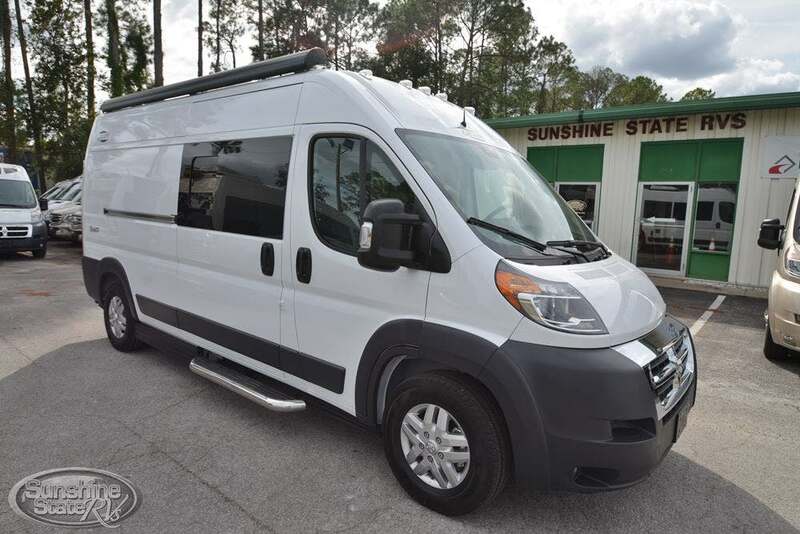 BUILT ON THE RAM PROMASTER CHASSIS, YOU?LL ENJOY THE RIDE WHEREVER YOUR TRAVELS TAKE YOU. MOUNT YOUR OUTDOOR GEAR AND BIKES ON THE OPTIONAL RACKS FOR AN ULTIMATE GETAWAY. EASILY ROTATE THE CAPTAIN?S CHAIRS IN THE FRONT TO PROVIDE TWO EXTRA PLACES AT THE TABLE. THE EXPANDABLE COUNTERTOP AND FULLY EQUIPPED KITCHEN MAKES MEAL PREP A BREEZE. YOUR FULLY EQUIPPED KITCHEN INCLUDES: A 2-BURNER PROPANE STOVE, REFRIGERATOR, MICROWAVE, SINK AND AMPLE STORAGE FOR FOOD. PLENTY OF NATURAL LIGHT FLOODS IN DURING THE DAY AND LED LIGHTING IN THE EVENINGS. THE REAR BATHROOM IS SET UP WITH AN ERGONOMIC TOILET, STAND UP SHOWER AND SINK WITH ADJACENT FULL LENGTH CLOSET. CONVERT THE SOFA INTO TWO TWINS OR A KING SIZE BED FOR WELL-DESERVED RELAXATION. I am interested in this 2019 Carado Banff that recently sold on duPont Registry.